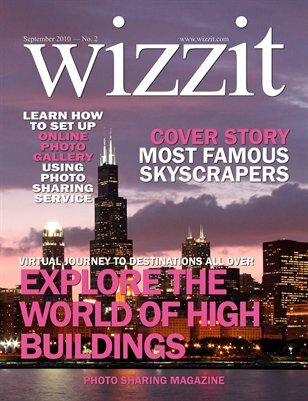 Wizzit Magazine makes a virtual journey around the world and explores the highest buildings man has created. The era of skyscrapers started not more than about one hundred years ago in the United States. The fascinating history of skyscrapers may begin as early as the age of the Pharaohs in ancient Egypt several thousand years ago when the very first pyramids appeared close to the river Nile. This issue will tell the short history of high buildings and explain the definition of skyscrapers. We will not forget the world-famous architects behind these huge constructions. Without their contribution there would not be such a modern urban skyline we are used to see when visiting metropolis of high-rises.